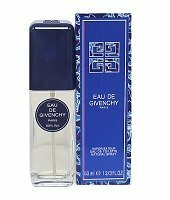 Givenchy introduced Eau de Givenchy in 1980. This feminine scent possesses a blend of fresh citrus, melons, peaches, plums, floral bouquet. Eau de Givenchy is recommended for daytime use.